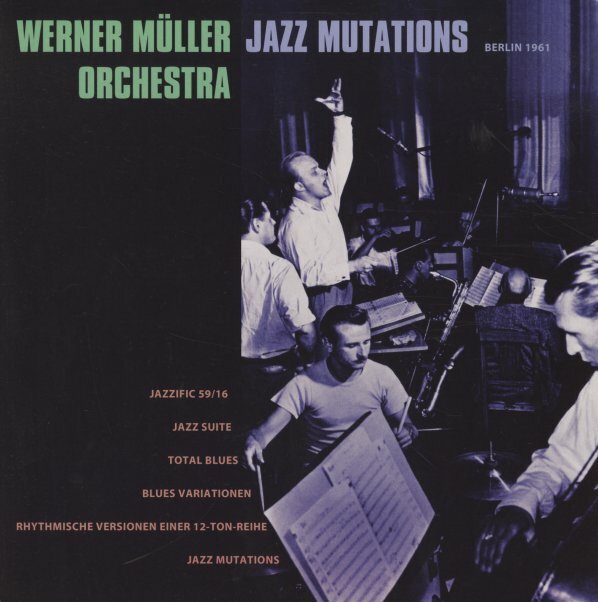 Great ensemble jazz from the German scene of the postwar years – music that's got lots of hip twists and turns, a bit like some of the later music from the great Raymond Scott and his orchestra! Werner Muller made a fair bit of instrumental albums on the German scene of the 60s – but most of them were lounge or mood music albums – which makes these jazzier sessions come as a nice surprise – as the tunes are almost a precursor of some of the more inventive European big band work that would show up on labels like MPS, or some of the sounds from the Eastern European scene. The group here is large – billed as an "orchestra", but probably about 20 members in all – and Muller uses them in a way that's nicely inventive, running through tunes from a variety of sources that all benefit a lot from inventive arrangements and strong ensemble talents of the musicians! All tracks are unreleased – and titles on this volume include "Jazz Mutations", "Blues Variationen", "Jazz Suite", "Jazzific 59/16", and a version of Francy Boland's "Total Blues". © 1996-2019, Dusty Groove, Inc.